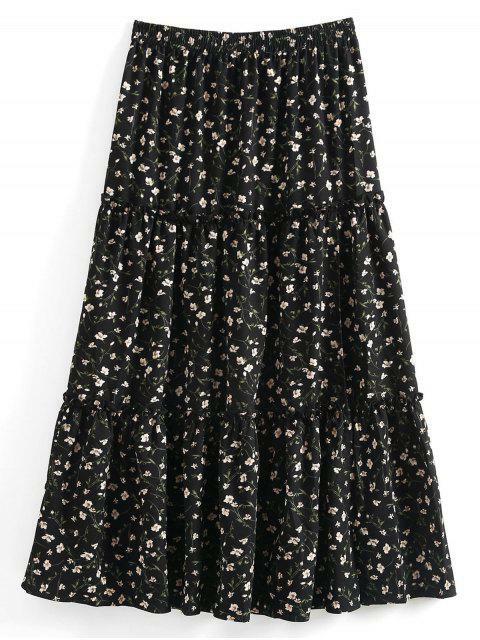 [59% OFF] 2019 ZAFUL Ruffles Tiny Floral Midi Skirt In BLACK | ZAFUL .. This skirt is beautiful! Really love the slit. I love this skirt!! The skirt is beautiful and well made, the slit makes it pop.